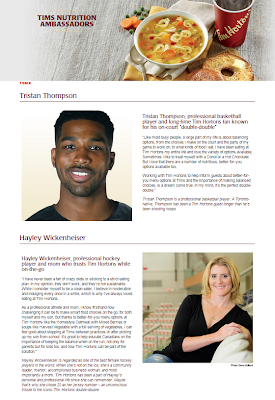 Weighty Matters: How Much Does it Cost to Have Professional Athletes Call Your Donut Shop Healthy? How Much Does it Cost to Have Professional Athletes Call Your Donut Shop Healthy? 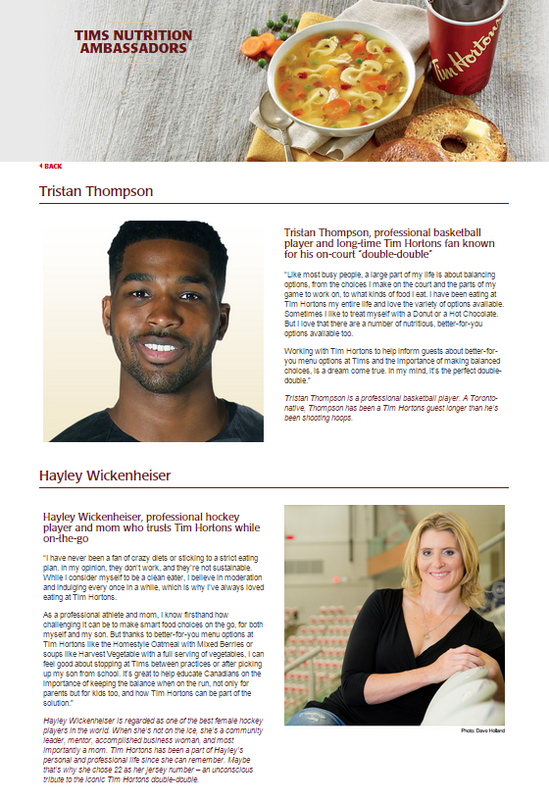 Well you could ask professional basketball player Tristan Thomas or professional hockey player Hayley Wickenheiser as both have recently been named, "Nutrition Ambassadors" by Tim Hortons. 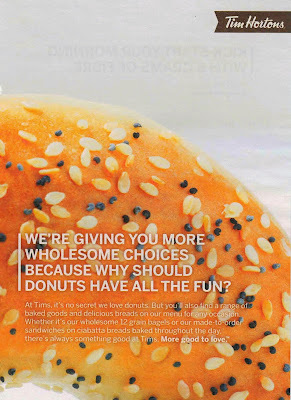 They're both part of a larger health-washing campaign designed to make you think that Tim Horton's is a health food destination. 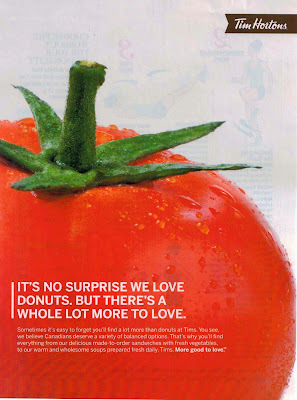 From magazine advertisements featuring whole ripe tomatoes or "12 grain" "wholesome" (but not wholegrain) bagels, to the athletes, to a new "nutrition and wellness" webpage, to a zippy new slogan, "More Good to Love", are the days of donuts and Timbits numbered? 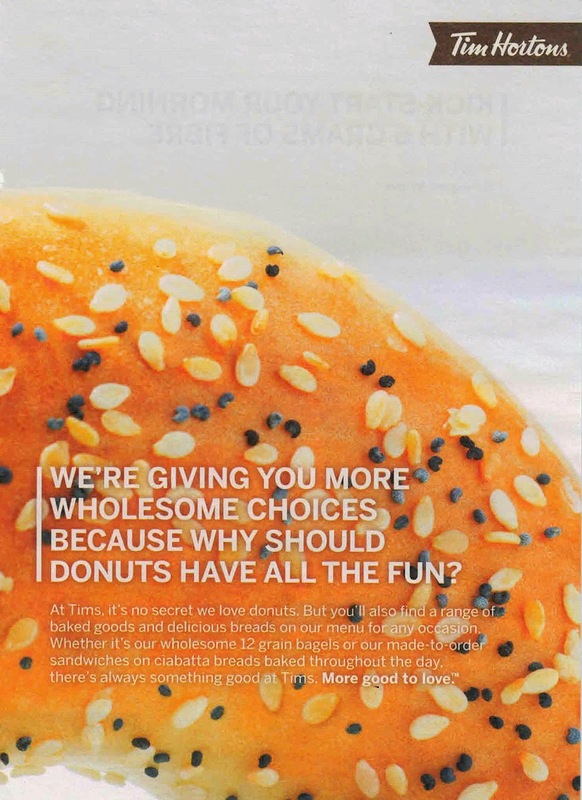 Tim Hortons is, was, and always will be first and foremost a donut shop, and while sure you can order options that aren't nutritionally awful, less bad isn't the same thing as good, and if you're encouraged by Tristan Thomas, Hayley Wickenheiser, or a picture of a tomato to consider more healthful eating, why not skip your next visit to Tim Horton's altogether?